For this recipe, purchase a wedge of Parmesan cheese instead of pre-grated Parmesan cheese. Shred it using the large holes of a grater or shave it using a swivel peeler. 1. 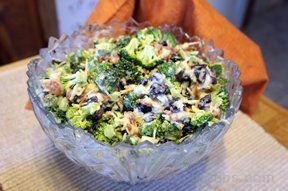 Cook broccoli in boiling water in medium saucepan 4 to 5 minutes or until tender-crisp. 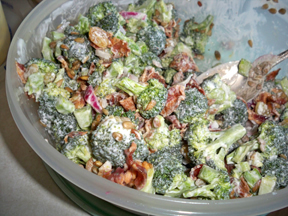 Drain broccoli; return to saucepan. Add oil; toss to coat. 2. Mix Italian seasoning, pepper, garlic powder and salt in small bowl. 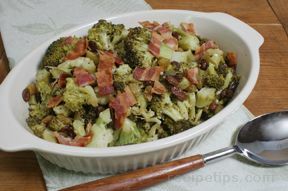 Sprinkle broccoli with seasoning mixture, bacon and pine nuts; toss well. 3. Sprinkle with Parmesan cheese. Serve immediately.